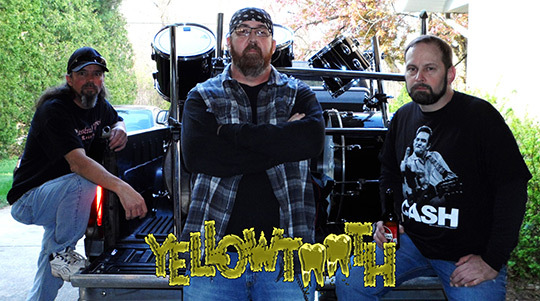 Michigan City, Indiana’s own Sludge/Stoner band YELLOWTOOTH is preparing to hit the studio in September to record Crushed By The Wheels of Progress, the follow-up to the band’s 2012 debut album Disgust. YELLOWTOOTH is also gearing up for several shows this fall in the Chicagoland area with label-mates PSYCHOMANCER. This entry was posted on August 29, 2014 at 11:30 pm and is filed under Metal, metal bands, metal music, Music, music news, rock music, rock music news with tags Metal, Metal News, metal odyssey, sludge metal, yellowtooth. You can follow any responses to this entry through the RSS 2.0 feed. You can leave a response, or trackback from your own site.